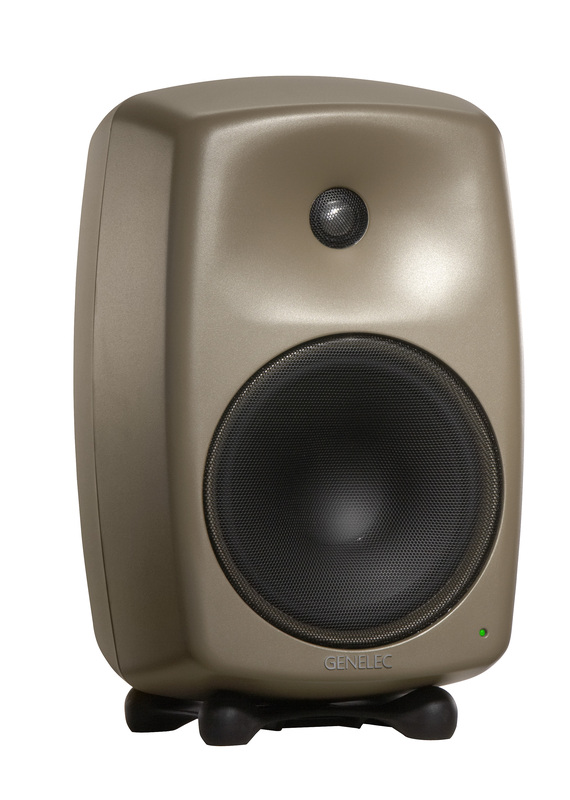 NATICK, MA, March 29, 2006 — Since 1978 Genelec has concentrated its efforts and resources into the design and manufacturing of active monitoring loudspeakers with unparalleled sonic accuracy. When first introduced, these “active” monitors were new and different. Almost three decades later, Genelec remains on the forefront of pure sound reproduction and continues to promote the concept of active monitoring, a trend in technology that many manufacturers have just begun incorporating into their products. Now Genelec, the preeminent manufacturer of active monitoring solutions, announces another industry breakthrough with the launch of its new 8200 and 7200 DSP Series Monitors. 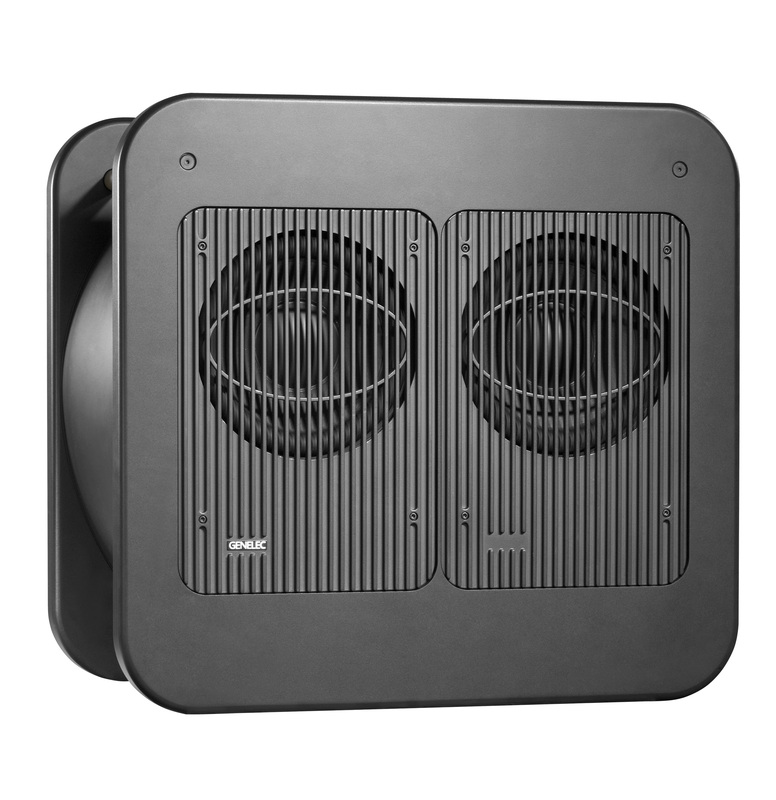 Built on the solid foundation of Genelec’s celebrated 8000 MDE™ and 7000 LSE™ Series products, the new Genelec 8200 Series Bi-amplified Active Monitors and 7200 Series Active Subwoofers are designed for end-users who want a network speaker system that can be set up, measured, analyzed and calibrated quickly. 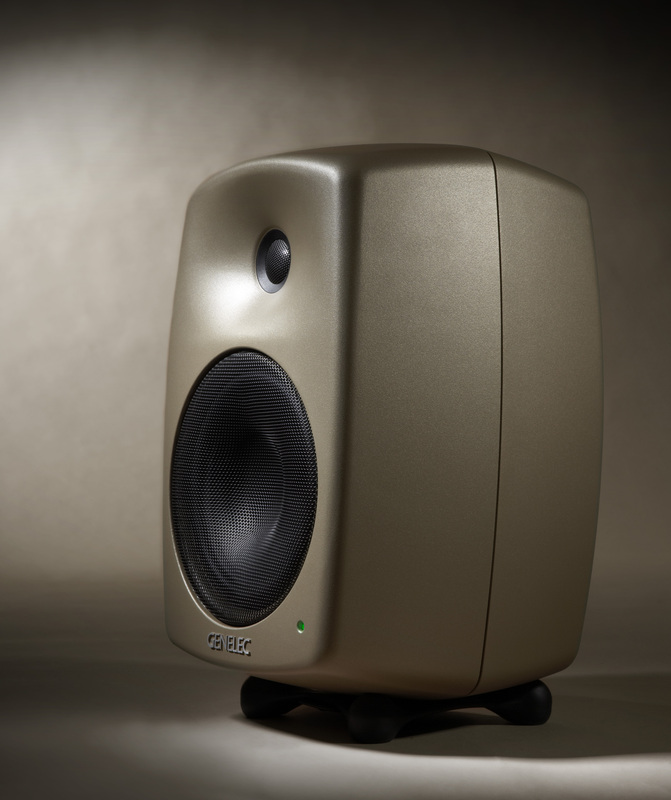 A direct result of years of in-the-field acoustical research and testing with key customers as well as analysis in Genelec’s R&D facilities, the 8200/7200 DSP Series Monitors employ the company’s proprietary DSP (Digital Signal Processing), GLM™ (Genelec Loudspeaker Manager software) and AutoCal™ (Automated Calibration software) technologies yielding a robust and reliable speaker system that maximizes ease of integration into the end-user’s studio environment. As a logical extension of the 8000 Series Active Monitors, Genelec has utilized sophisticated digital signal processing in the 8200 Bi-amplified Monitors and 7200 Subwoofers to allow for all standard AES/EBU formats of digital audio. The 8200/7200 Series will accept sampling rates ranging from 32 kHz to 192 kHz. The 8200 Series will also accept traditional analog signals and perform with all the features and benefits of Genelec 8000 Series products. 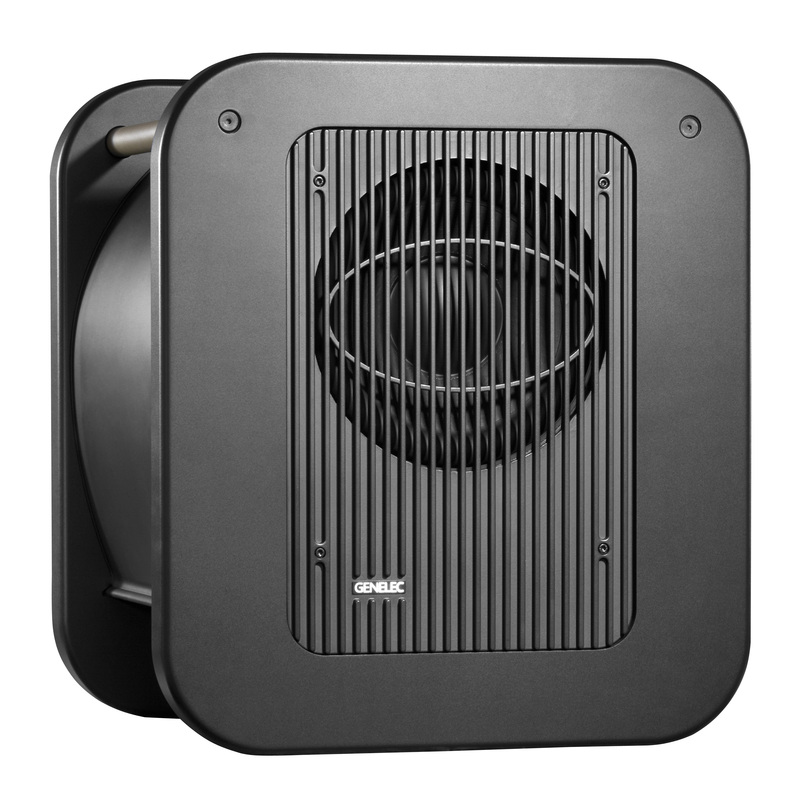 The Genelec Loudspeaker Manager (GLM) software is a sophisticated computer program (Windows XP® or Mac OS X® platforms) providing the necessary connectivity/control for all loudspeakers on the GLM Control Network. As many as 25 of the 8200 loudspeakers and 5 of the 7200 subwoofers are definable and controllable via standard CAT5 cabling. GLM allows multiple custom User Setups with all settings and functions able to be stored in GLM setup or directly to each loudspeaker. An intuitive Wizard guides the user through complete cabling connections and speaker labeling. Rapid Cabling setups for the most common system configurations, as well as Manual Cabling setups for customized system configurations, are available. The user may also customize groups for both channels and speakers. Solo/Mute functions are available as well. Volume can be controlled via computer, third party USB device or custom console. In addition, there is Video Display compensation for inherent video delays in digital video devices. Genelec’s automated system calibration software, AutoCal, combines decades of acoustic research along with the company’s proprietary DSP and GLM network control. AutoCal supplies the industry’s first integrated process for complete automated measurement, analysis and adjustment of every speaker on the network to correctly integrate and maximize each speaker within the mixing environment. Employing self-generated test signals and a Genelec 8200A Calibration Microphone (included), AutoCal calibrates the correct acoustical alignments for all the loudspeakers and subwoofers on the GLM Control Network. AutoCal uses a sine wave (chirp) sweep generated by each loudspeaker and subwoofer. This sweep is recorded using the microphone, over one or more positions, and the impulse response calculated. AutoCal then determines the correct acoustical settings for each loudspeaker and subwoofer to obtain: flat frequency response at the listening position, or over an area; equal timing arrival from all loudspeakers to the primary listening position; and proper alignment of the subwoofer(s) in terms of output level and crossover phase. SinglePoint™ and MultiPoint™ microphone positions provide measurement for one-, two- or three-position mixing environments — perfect for scoring stages or film/post-production applications. When AutoCal has optimized the Room Response Control settings, the results can be saved into the System Setup file. Further adjustment is then possible using the Acoustical Settings Editor. The Interactive Response Editor provides accurate graphical display of the measured response, filter compensation and resulting system response for each loudspeaker on the network. The 8200 Series Bi-amplified Monitors can utilize four notch filters and four shelving filters while the 7200 Series Subwoofers utilize four notch filters, plus Bass Roll Off controls. • Stand Alone: This mode exemplifies the standard operation of Genelec 8000/7000 products with standard set of room response controls and sensitivity adjustment found on connector panel DIP switches. • GLM Computer Assisted: Once the network is connected and running, all DIP switches on connector panel are ignored. 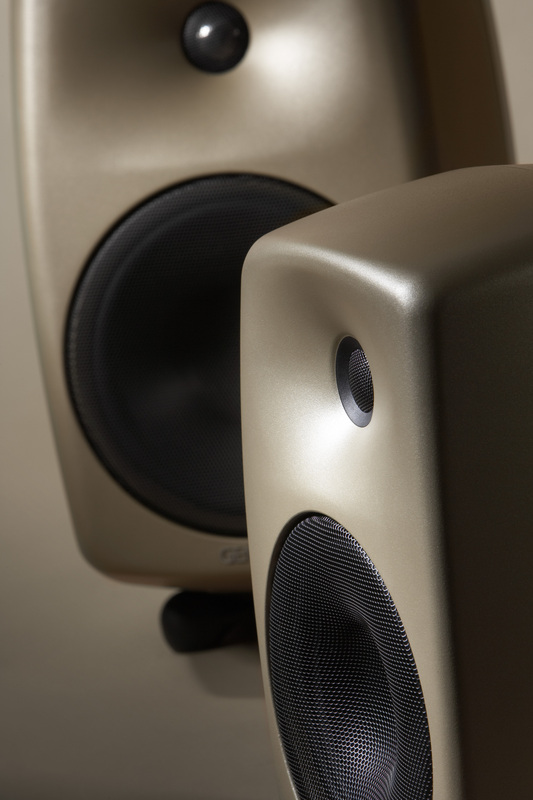 All acoustic parameters of the loudspeakers set through AutoCal or User Adjustment are controlled by GLM. This mode enables user-defined setups to facilitate a wide variety of mixing requirements. • Stand Alone Stored Settings: All acoustic parameters made in GLM can be safely stored to all speakers and the network can then be removed, providing users with the confidence of secure and consistent performance. 38 Hz to 20 kHz (±1.0 db). Peak SPL per pair is 120 dB driven by 150 Watt LF, and 120 Watt HF amplifiers. Both models are fully compatible with the GLM and proprietary Genelec loudspeaker control network, as well as the 7260A, 7270A and 7271A Active Subwoofers, and can also be used independently of the network. All drivers are magnetically shielded. 85 Hz (± 3 dB), and ability to deliver SPLs of 118 dB @ 1 meter. 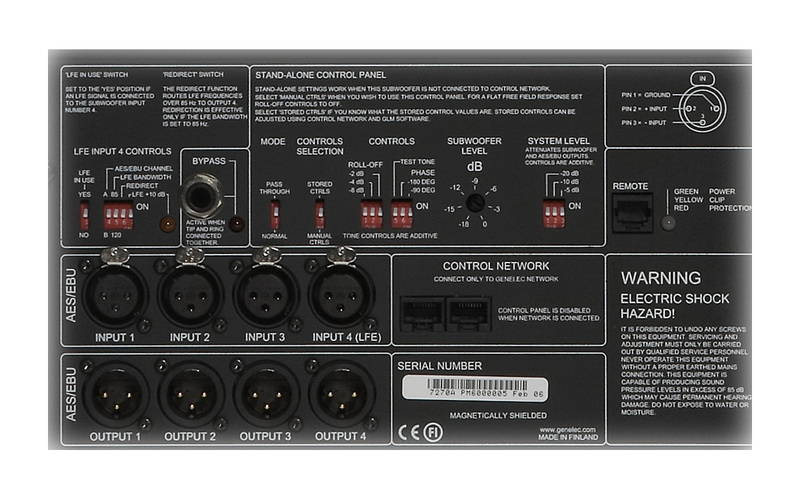 All models are designed for precise monitoring of 24-bit/192 kHz AES/EBU digital audio signals. They are fully compatible with the GLM/proprietary Genelec loudspeaker control network and 8240A and 8250A DSP loudspeakers. 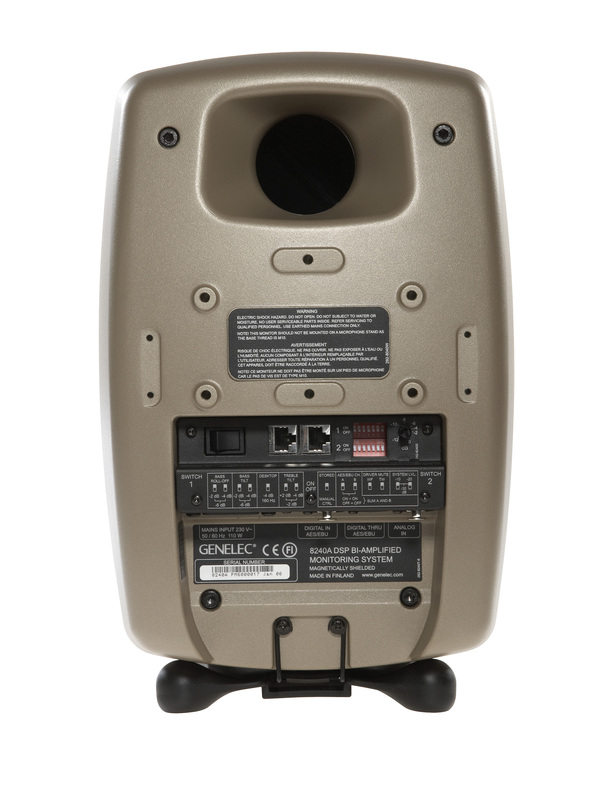 The Genelec 8200 and 7200 DSP Series Monitors will be available in Q2 of 2006. 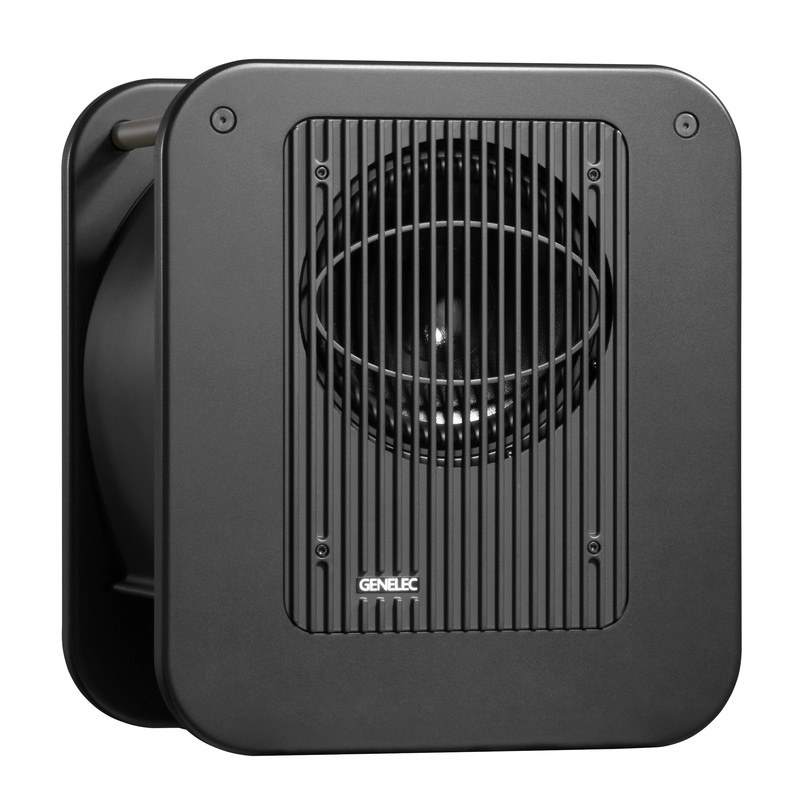 Genelec, the pioneer in Active Monitoring technology, was founded in 1978 and has concentrated its efforts and resources into the design and manufacturing of active monitoring loudspeakers with unparalleled sonic accuracy. Genelec has been credited with promoting the concept of active monitors, a trend in technology that some manufacturers are just now incorporating into their products. Genelec has a complete line of active main, mid-field, and near-field monitors for application in the postproduction, project studio, broadcast, TV, and CD mastering markets. —For more information on the complete range of Genelec Active Monitoring Systems, contact: Genelec Inc., 7 Tech Circle, Natick, MA 01760.